Try this simple and easy way to add a fall touch to your party games with this pumpkin ring toss game from Inner Child Fun. This one is perfect for old and younger kids alike. A super fun way to add that fall theme to any Halloween party. 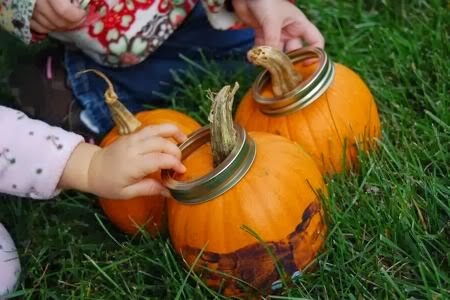 Grab some pumpkins and canning lid bands to get started.